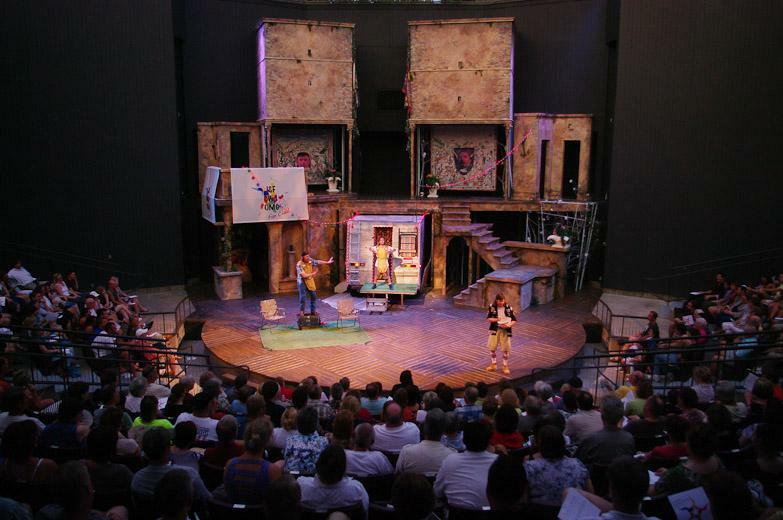 The Illinois Shakespeare Festival runs July 8 through August 13. Rehearsals for the 39th season of the Illinois Shakespeare Festival at the Ewing Cultural Center in Bloomington have begun, and the artists are ready to blaze new trails with a romantic comedy, the melancholy Dane...and Peter Pan. The Illinois Shakespeare Festival is staging "Twelfth Night," "Hamlet," and "Peter and the Starcatcher," a play based on a children's book which deals with the early life of that boy who would not grow up. Artistic Director Kevin Rich said the backstory of Peter Pan will likely attract a younger crowd to the Festival. "It's such a fun show and we recently added a section to our theater with family-friendly ticket prices because we really want to see more families come to the Festival." The book on which the play is based is required reading by area school children, so Rich expects they'll be properly primed for the show by the time they take their seats. Shakespeare's "Twelfth Night" has an Edwardian-style setting for this comedy of love and confusion. Rick Barber is the director. "He's a very imaginative and soulful director, " said Rich. "He's really interested in the depths of this play, which is funny and bittersweet." The third offering for this season is "Hamlet." Playing the prince is Deborah Staples, who appeared last season as Cleopatra and Elizabeth I. "I'm as interested in Shakespeare's practices as I am in his plays," said Rich. " The stories are timeless, but also the way that Shakespeare told the stories is something to consider in terms of wanted to reach the same sort of diverse and populous audience that his productions originally reached. The gender bending that Shakespeare employed is something we need to take into consideration when producing these plays. If he had men dressing up as women, why not have women dressing up as men. I think he was looking for what was fundamentally human about people." Costuming the actors for "Hamlet" is Lauren Roark, a 2011 graduate from Illinois State University, who is returning to campus to help bring the Festival to life. Listen to the interview with Kevin Rich. The 10th season of the Bloomington Center for the Performing Arts features a mix of Broadway, vintage pop, and comedy. "Unelectable You" cashes in on election year fever with a comedy review that skews and skewers both left and right. Comedian Louie Anderson, who stars in the FX series "Baskets", brings his stand-up show to the BCPA. Broadway is represented with "Annie," "Elf" and "Bye-Bye Birdie." Illinois State University Theater grad Nick Demeris is a whirling dervish. His own Twitter account lists him as a writer, composer, actor, & street artist. 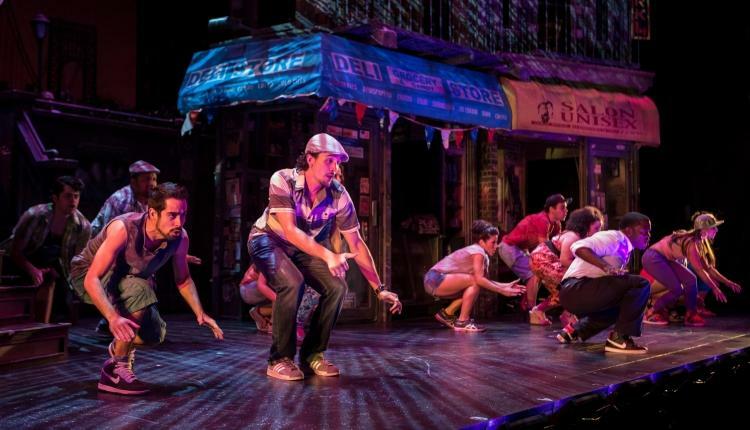 He teaches workshops on Hip Hop & Shakespeare, and is part of the vocal improvisational group Moving Star currently serving as an artist in residence at Carnegie Hall. And that's just the beginning.